Electric only: 20 & 30 amps. 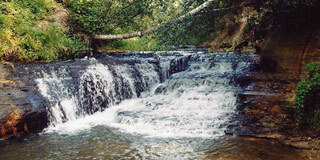 Sites #15, 16, 17. 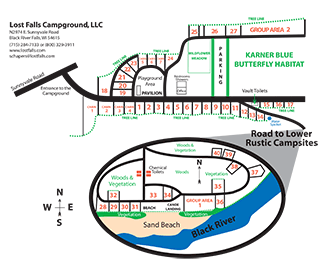 Together these sites will accommodate small groups of 4-6 camping units. Large group site – 3-8 tents. A minimum of 3 tents to reserve. 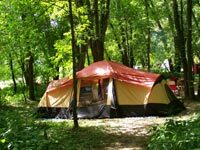 Group camping prices are per camping unit or tent per night. Small group sites 2-4 tents. 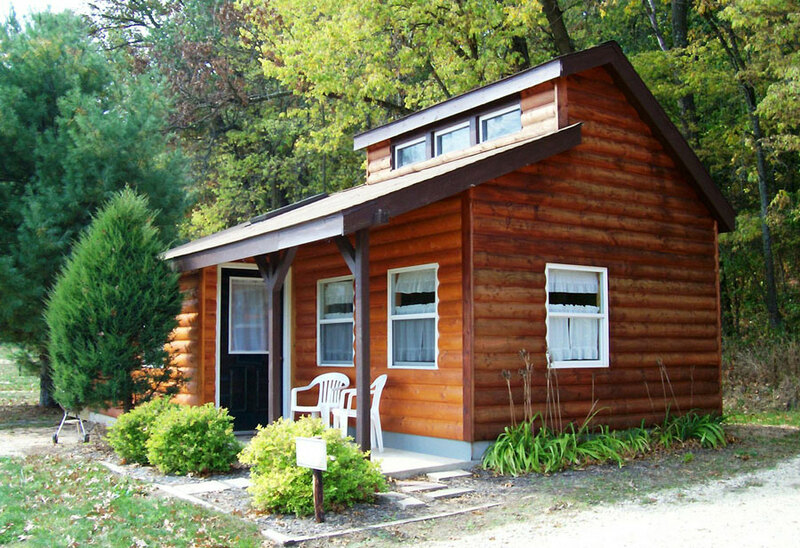 Group camping prices are per camping unit per night. Large group site 3-8 tents. A minimum of 3 tents to reserve. 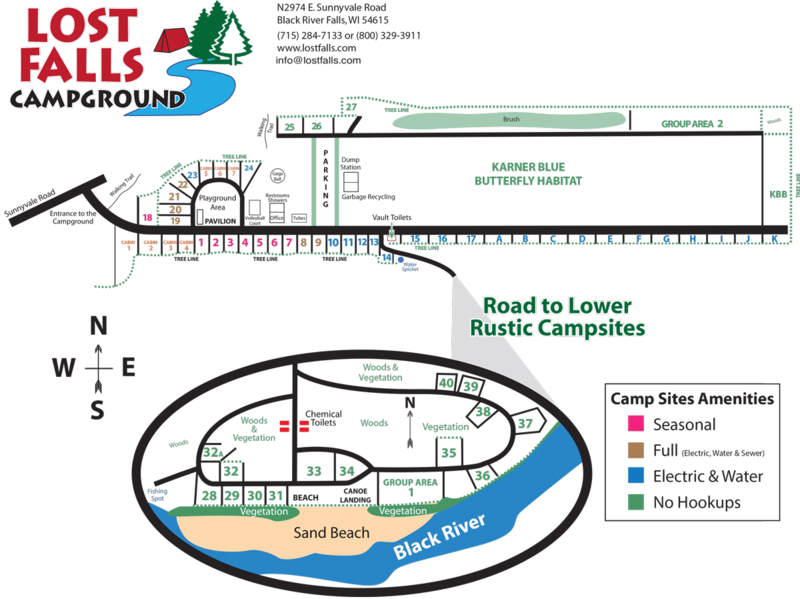 Group camping prices are per camping unit or tent per night. All campsite reservations require a 3 night deposit for holidays, 2 night deposit for weekends, and a 1 night deposit for weekdays. Please review our campground and pet policies. 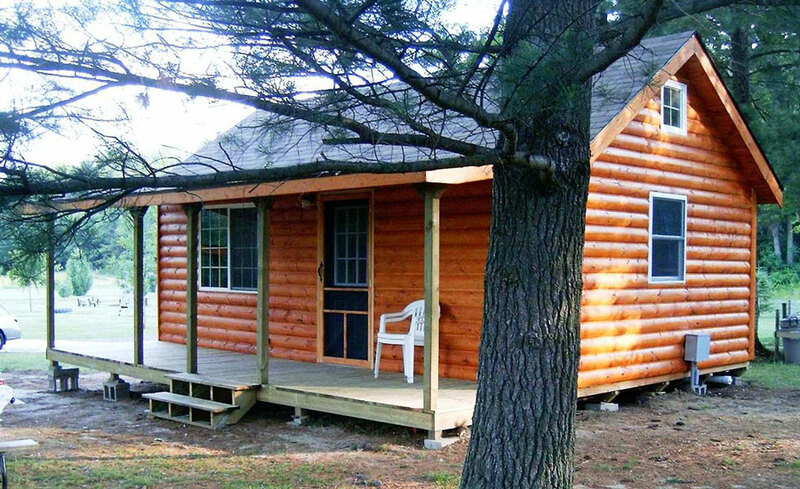 Log Cabins are pet free and smoke free. Please smoke outdoors and leave your pets at home. 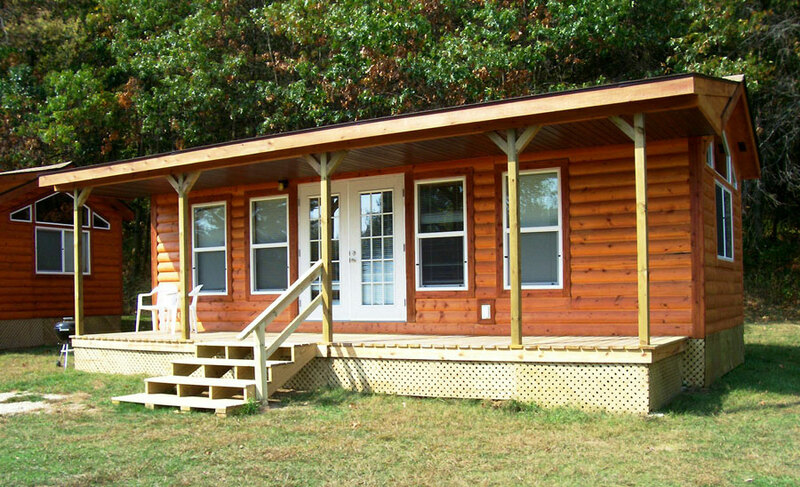 All cabins have heat and air conditioning units. 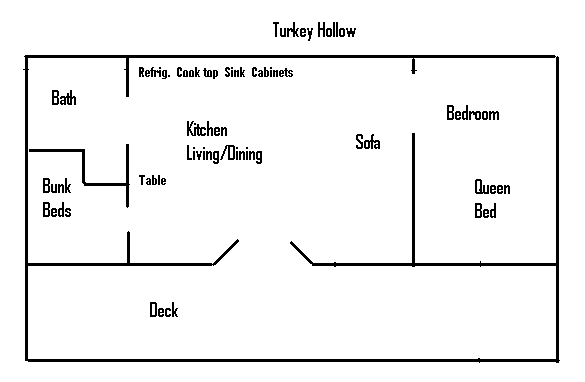 All cabins have kitchens, and baths with shower. 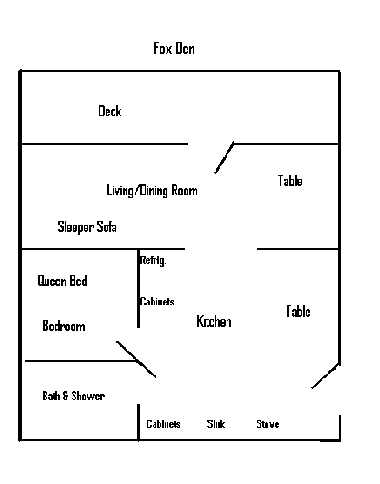 All kitchens have full refrigerators, stove or 2 burner cook top, microwave oven, toaster, coffee maker, dishes, cookware, silverware and utensils. LINENS ARE NOT INCLUDED. Bring pillows, bed, bath and kitchen linens. 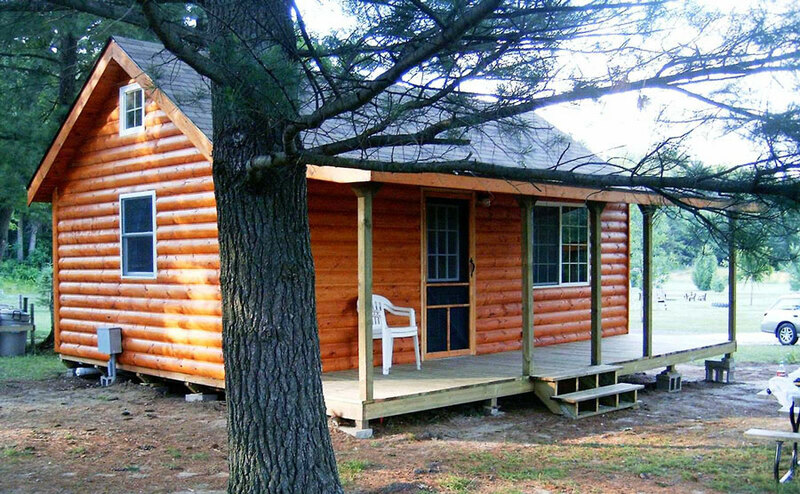 All cabins have a picnic table, fire ring and Weber grill. Check in: 3 p.m. Call ahead for early check in information. Check out: 11 a.m. 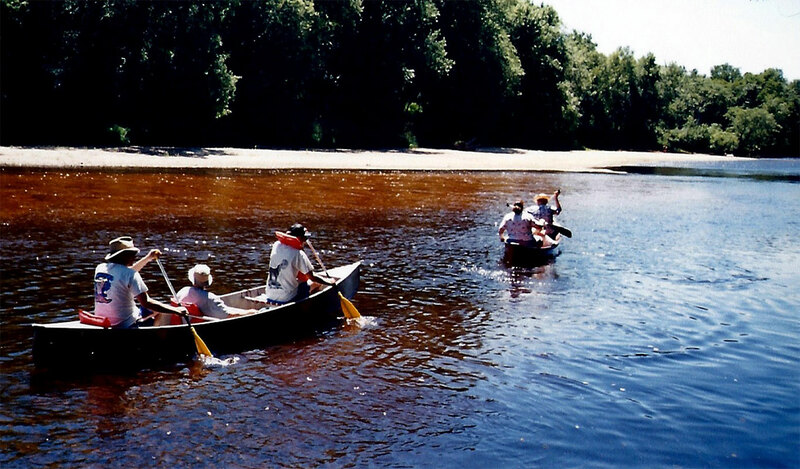 However, after you have checked out of the cabin you are welcome to stay and enjoy the campground or arrange for an afternoon river trip. 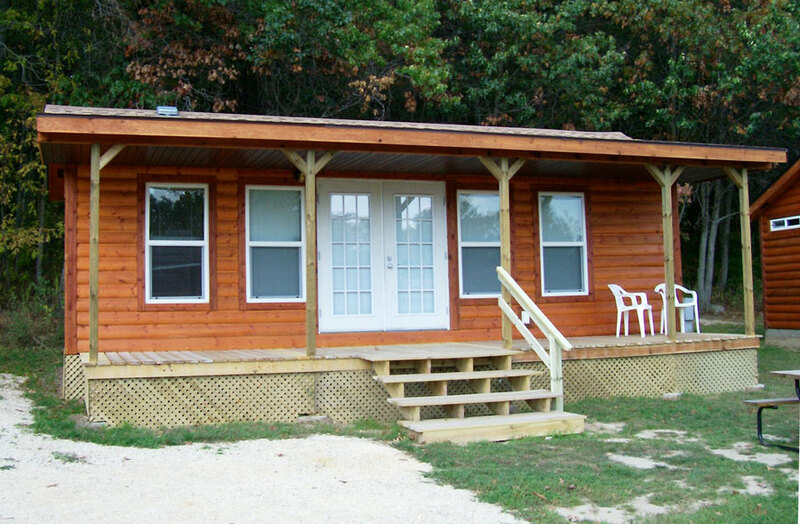 All cabin reservations require a 3 night deposit for holidays, 2 night deposit for weekends, and a 1 night deposit for weekdays. 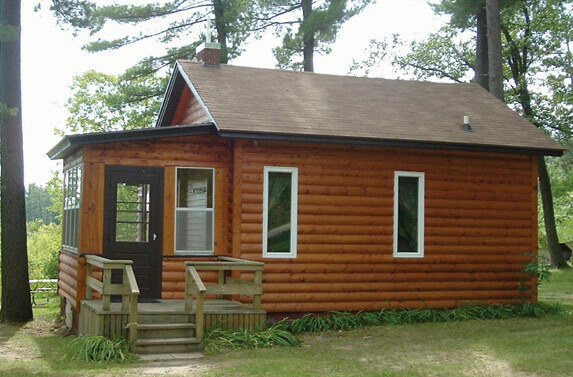 2 Room log cabin overlooks the Black River. 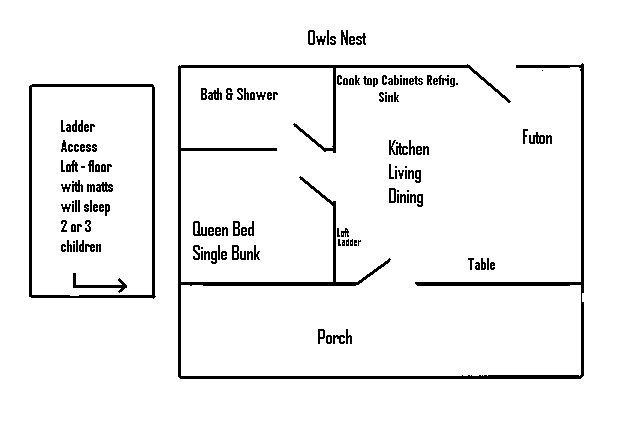 Queen bed, futon/bunk, & sleeper sofa. Kitchen equipped with full refrigerator, 2 burner cook top, microwave, toaster, coffee maker, dishes, utensils, cookware, and silverware. Picnic table, fire ring & Weber grill. 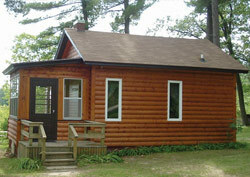 Cabins are smoke free and pet free. Please smoke outdoors and leave your pets at home. Living room has sleeper sofa. Kitchen equipped with full refrigerator, stove, microwave, toaster, coffee maker, dishes, utensils, cookware, and silverware. 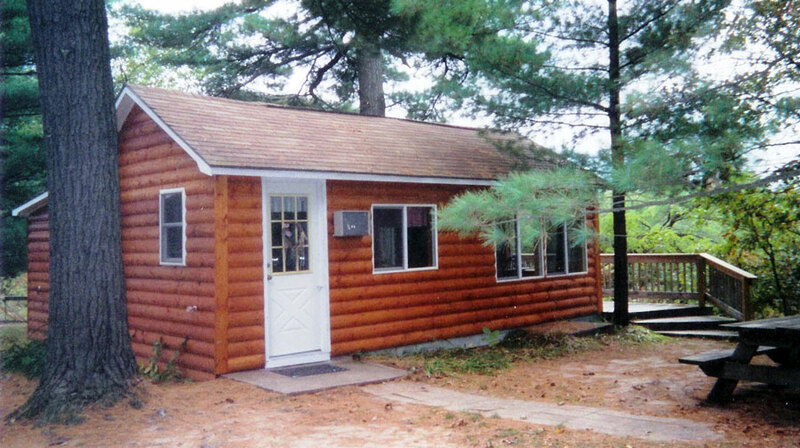 One bedroom log cabin overlooks the Black River. 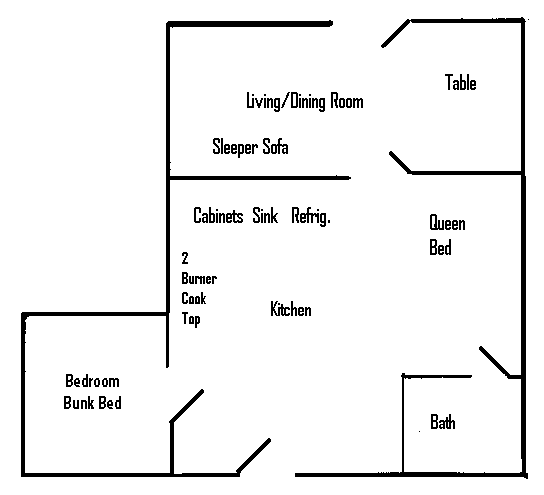 Bedroom has built-in queen bed with single bunk. Great Room has queen size futon which sleeps two. 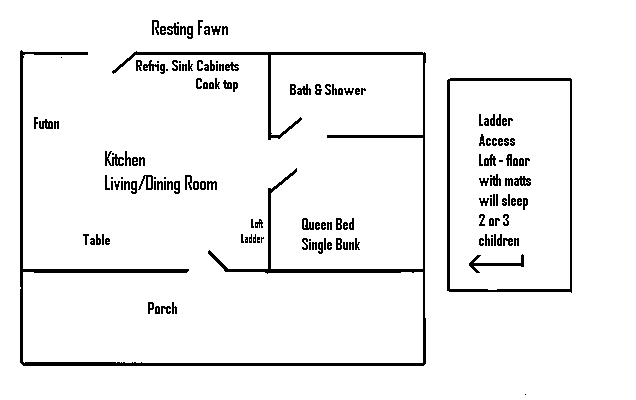 Ladder access to kid sized loft for children over 6 years of age. Loft has floor mats for additional sleeping. Bath with tub & shower. Great Room has queen size futon which sleeps 2. 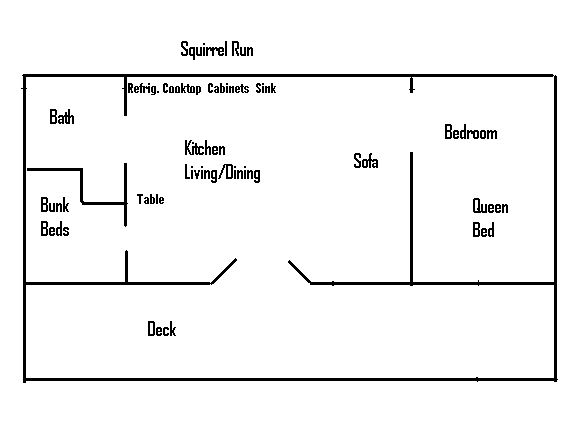 Bedroom has built-in queen bed and bunk beds. Loft has floor mats. Sleeps 2 children. Living room has full size futon which sleeps 2. Sliding glass doors to deck. Second bedroom has built-in bunk beds. Covered porch with picnic table. Fire ring & Weber grill.